対処法: Error:(2) Error retrieving parent for item: No resource found that matches the given name 'android:TextAppearance.Material.Widget.Button.Inverse'. 対処法: Gradle DSL method not found: 'runProguard()' Possible causes: The project 'hoge' may be using a version of Gradle that does not contain the method. Gradle settings The build file may be missing a Gradle plugin. 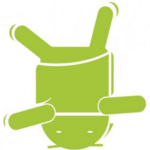 対処法: android.content.ActivityNotFoundException: have you declared this activity in your AndroidManifest.xml? Copyright© Android開発・エラー置き場 , 2019 All Rights Reserved Powered by STINGER.